I’ve wanted to start the savoury baking section of my blog for a while now, but unlike with sweet baking, my savoury baking is almost never planned (and consequently not photographed). Finally, after months & months of struggling to decide which recipe to put up as my first in the section, I decided on one of my all-time favourites: peking duck pancakes. If I’m honest, they are a bit time-consuming to make, and duck breasts certainly aren’t cheap, but considering how much you can pay for these babies in a restaurant, it’s certainly worth your while having a go at home, and they’re absolutely delicious! The recipe I have written here is enough for a main meal for 4, but feel free to halve it if it’s just for an entrée, or double it to make it serve more. To make the pancakes, place the flour in a large bowl and stir in the boiling water. Knead until the dough is smooth. 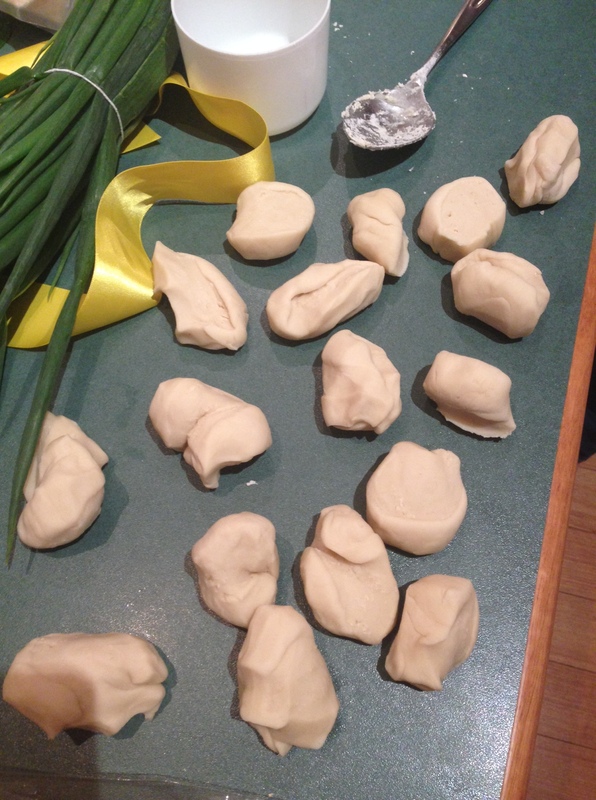 Place the dough into a clean bowl, cover with a clean,damp cloth and allow to stand for at least 30mins. Knead again for about 5mins, then divide into approximately 40 balls. Dip one side of a ball into a little sesame oil. Press the oiled ball together with another (unoiled) dough ball, oiled side towards the centre, and roll out to form a 15cm circle. Repeat with the remaining dough balls. Fry the pancakes in a lightly oiled pan over a low heat, turn and lightly cook the other side. 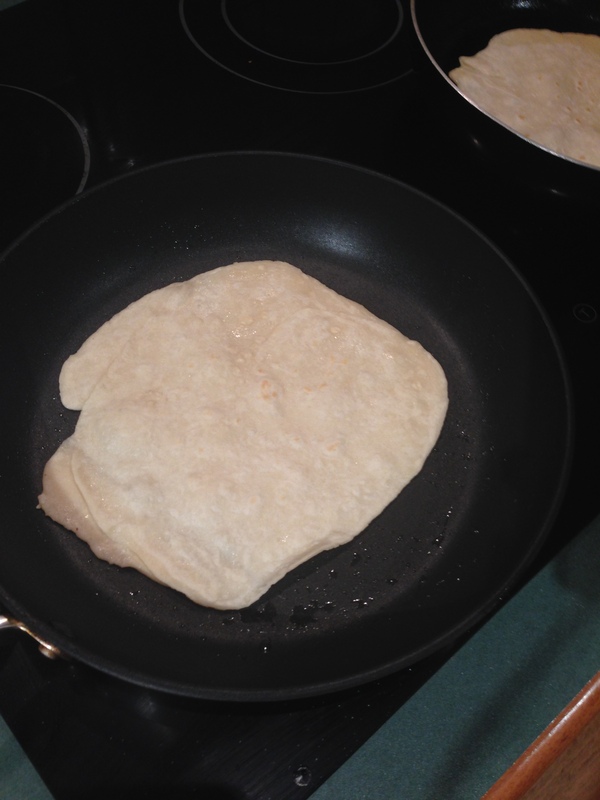 Both sides should be only very little browned (sort of like a mini tortilla). Carefully peel the pancakes apart (careful not to burn yourself!) and keep warm until ready to serve. Preheat oven to 200°C and 2 frypans to a medium-high heat. 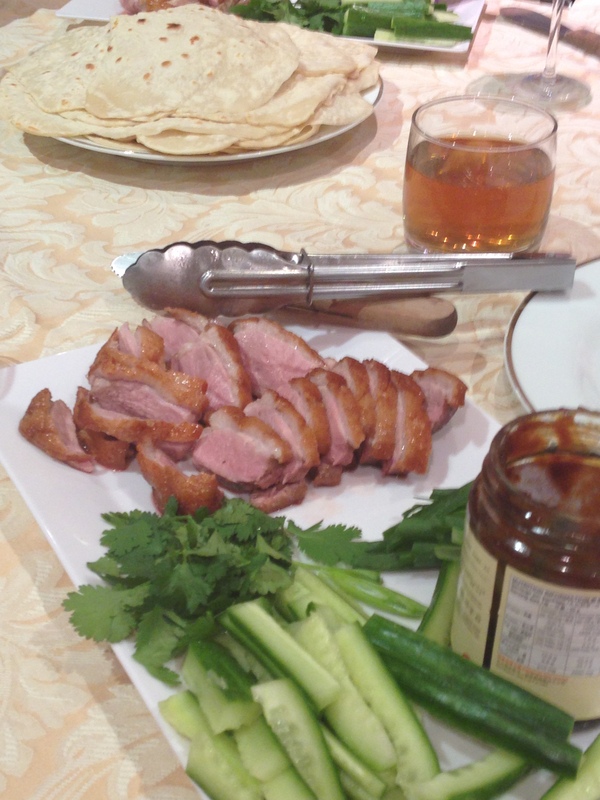 Prepare the duck by scoring the skin with a sharp knife and lightly salting it. 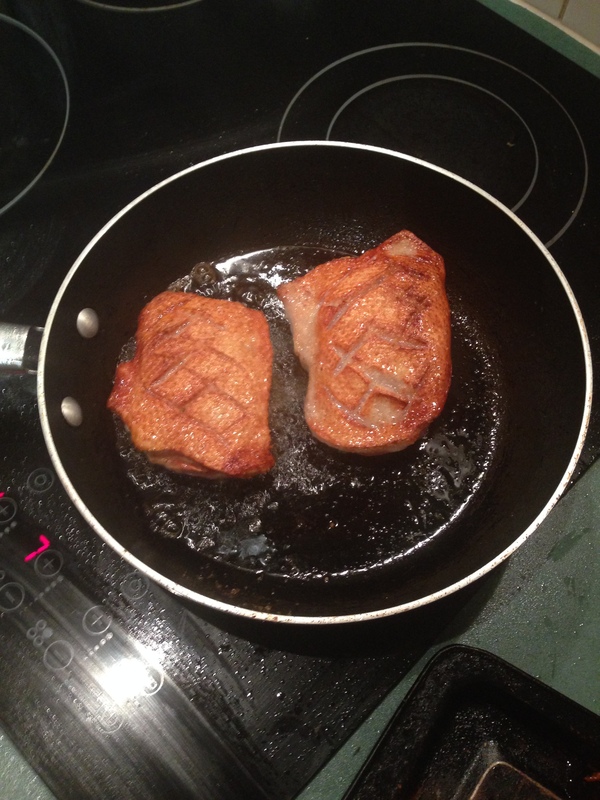 Place 2 breasts in each pan, skin-side down and cook for 3-4 minutes or until the skin is golden. Turn and cook for a further minute. 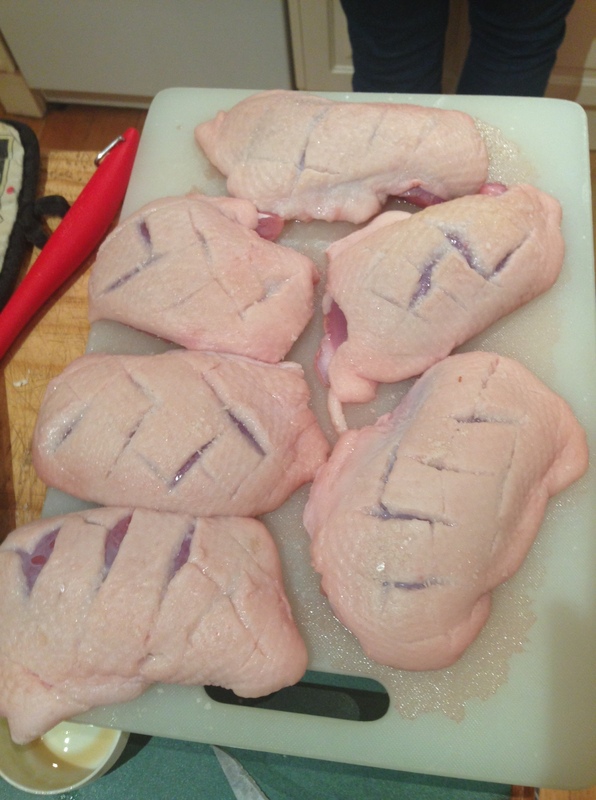 Transfer the duck breasts onto a lightly oiled baking tray and cook in the preheated oven for a further 8-10 minutes. While the duck is cooking, prepare your vegetables. 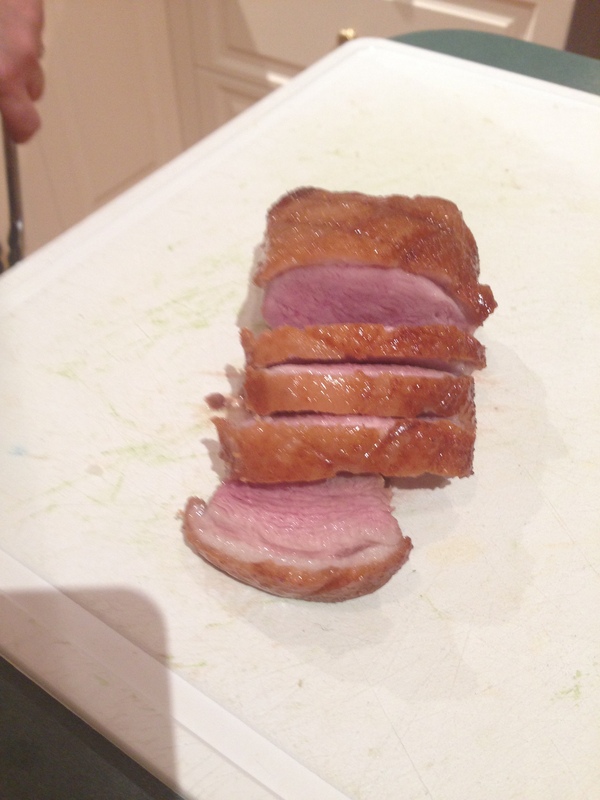 Once the duck is cooked, rest it for 5 minutes and then slice. 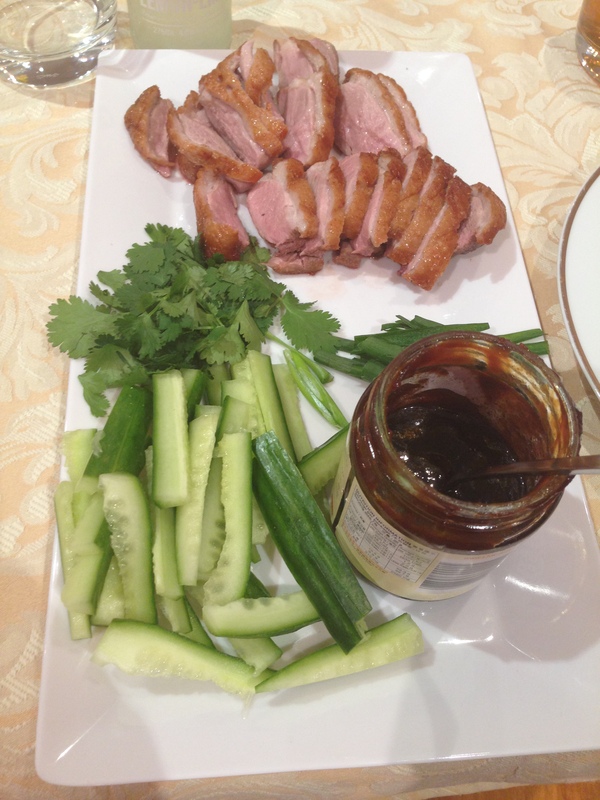 To assemble the pancakes, put approximately a teaspoon of hoisin sauce onto the middle of the pancake, top with 2 slices of duck, some cucumber, spring onion & coriander and roll. Enjoy!